The mobile yard ramps are part of PROMStahl’s wide product range. They offer the possibility of loading and unloading trucks, containers or wagons directly from yard level. The whole maneuvering and loading process can be managed by just one person. The ramps are made of robust welded steel and the whole driving range consists of stable grids that are optimally dimensioned and suited for heavy loads. For accident prevention the ramp is equipped with lateral protection bars on the left and right side. The mobile yard ramp is available in its standard version (type PAR) or with an additional horizontal platform (type PARP). 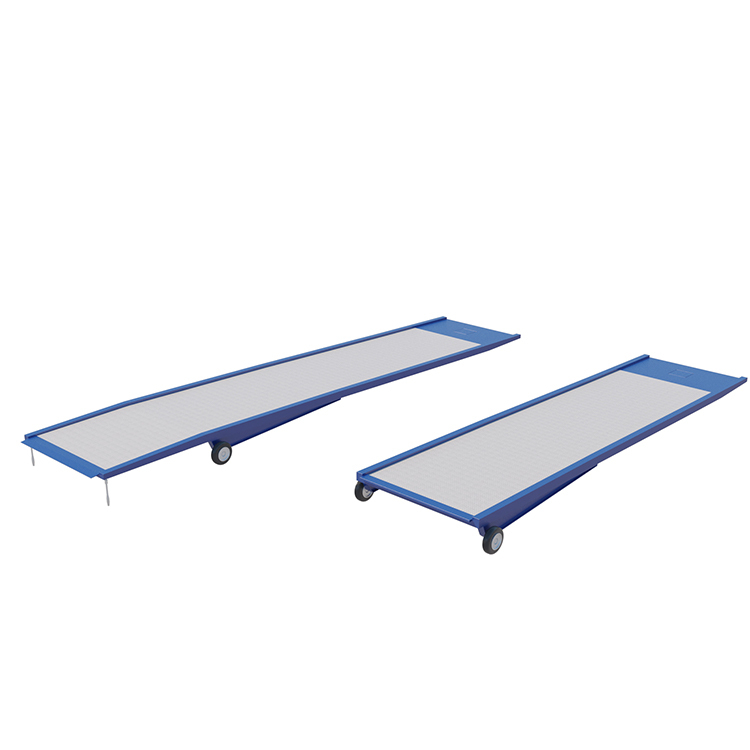 For loading and unloading of high loads the PARP version is recommended with the forklift truck safely entering the lorry via the horizontal part of the ramp.